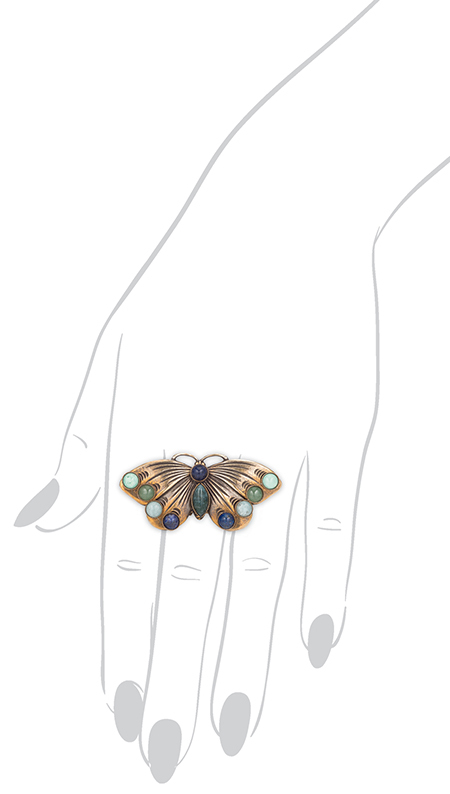 This statement 2-inch ring features a bejeweled brass moth with 10 tiny gemstones that adorn the wings and body, including turquoise, green aventurine, blue aventurine and moss agate. Our signature brass shank is adjustable to fit most ring sizes. Available with an antique brass and silver finish.